One question that often arises is how "real" do the Astral worlds or "Astral planes" seem during Astral projection? The Astral worlds or Astral planes as they are often known seem extremely real because they are real. People on Earth naturally use physical things as a reference point as to what is real and what is not real. To that end anything that cannot be perceived by the five physical senses is deemed to be "unreal" or "imaginary" or an "illusion". However, the physical world, like the Universe as a whole is pure energy, but in a "frozen" form giving rise to physical matter. David Bohm, the great quantum physicist described the physical Universe of matter as "frozen light" which is an extremely apt description. Energy at this level has a very low vibration by comparison with the inner spheres, and therefore, although still created by the Minds of human beings, is in fact very crude. As with any creation, the finer the material from which it is constructed, the more "solid" it appears to be and the more depth it appears to have. Within the physical world of matter it is due to to this very low vibration and high density that, although we can attract absolutely anything into our lives, it can take longer than it does within the inner spheres of life and reality where vibration is much higher and density much lower and therefore much more easily and immediatelu influenced by the thoughts, wishes and desires of the Mind. Consequently not only can anything be attracted and created instantly by the Mind using the process of imagination, but due to the much finer nature of the Energy at these levels everything seems to be very much more solid and very much more "real" than anything in the physical world. Also, due to these same factors, colors are vastly brighter and more vibrant than anything seem in the physical world, including colors that simply do not visibly exist in the physical world to the perception of the physical sense of sight. There is no "sunlight" as such within the Astral planes, everywhere being brightened by the infinite Divine Light of The Source, a light that makes Earth seem extremely dull, dreary and lifeless by comparison. The Astral worlds quite simply cannot be described in physical terms. Everyone, without exception should be prepared for the next phase of life and it should accordingly be the objective of everyone to learn the ability of Astral projection in order to know, beyond any doubt, what you can expect. 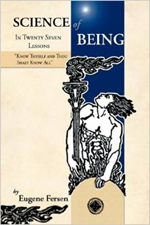 Most people passing on to the Astral worlds do so without any knowledge whatsoever as to what they can expect, or indeed in many cases that the next phase of life exists at all, an this can have a profound impact on such people, but not in a positive way. We must all be the masters of our own destiny at all times. Everyone must know this beyond any doubt; where you will transition to after death will be determined precisely by your unique Energy vibration upon passing. You will be automatically be attracted to the exact same level of Energy vibration of the Astral worlds as the Energy vibration of your Astral body. It will give you a huge advantage therefore to learn Astral projection and discover your future destination for yourself. Our Ultimate Reality sets out three highly effective methods for Astral projection and three highly effective methods for OBE that can be converted to Astral projection. Anyone achieving this will be left in no doubts whatsoevr as to just how "real" the Astral planes really are, and most importantly where you can expect to transition to if your were to transition at that point. Of course, while still on Earth you can, through the practice of perfection, influence where you can Astral project to, and where you will transition to upon passing from Earthly life. Once the transition has taken place, it is much more difficult to move towards the ever more glorious spheres of life which is one of the main reasons for reincarnation, to return in order to "get it right" next time . 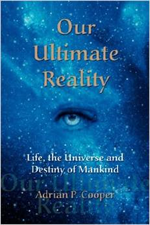 Our Ultimate Reality will show you in great detail how to attain the levels of perfection necessary in order to transition to the innermost and most glorious levels of the Astral planes.